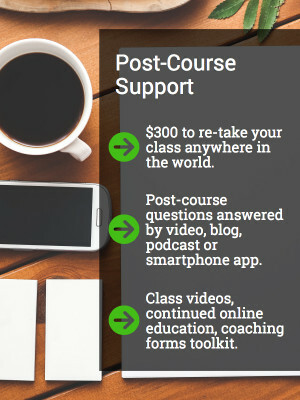 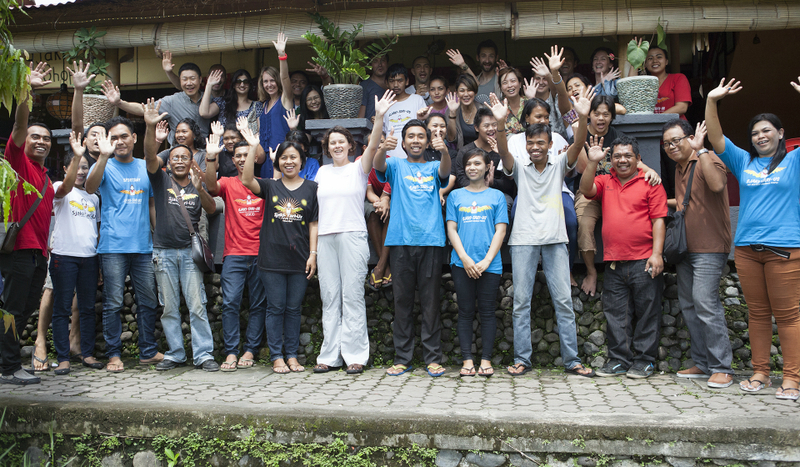 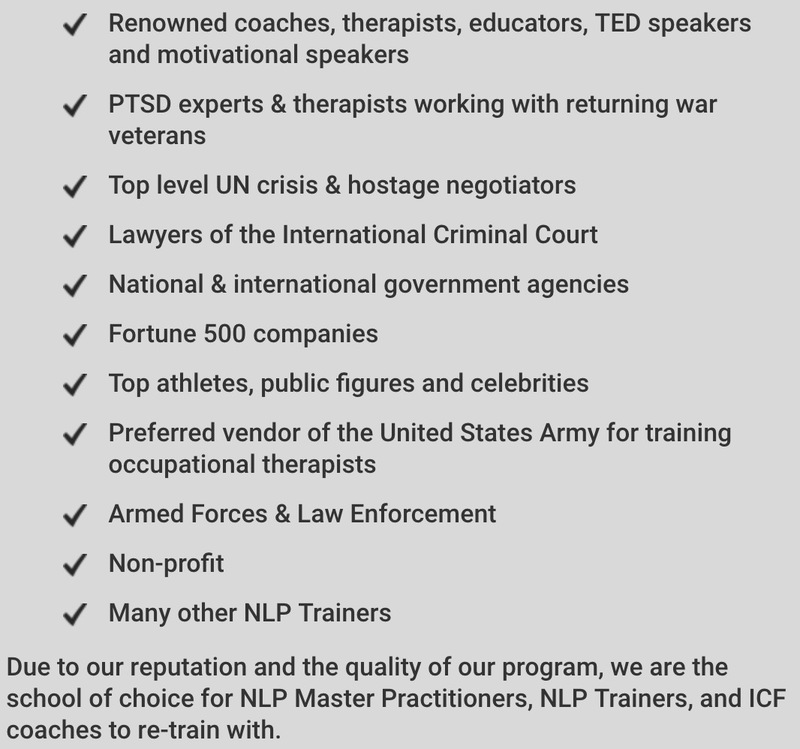 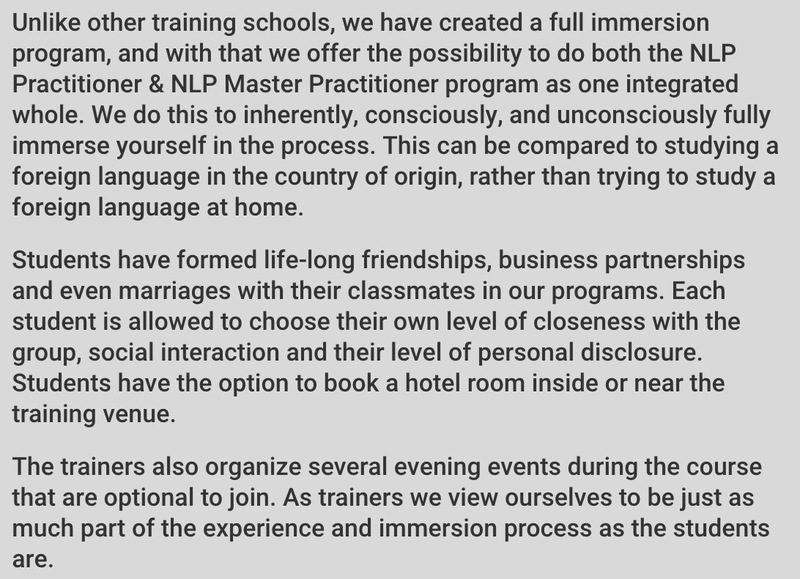 The NLP training shop has been created with former Global NLP Training students in mind, to offer the ideal post-course companion to augment your skill-sets, as well as an out-of-the-box toolkit for both new and advanced coaches to lift their business up to a professional standard to make an impression! 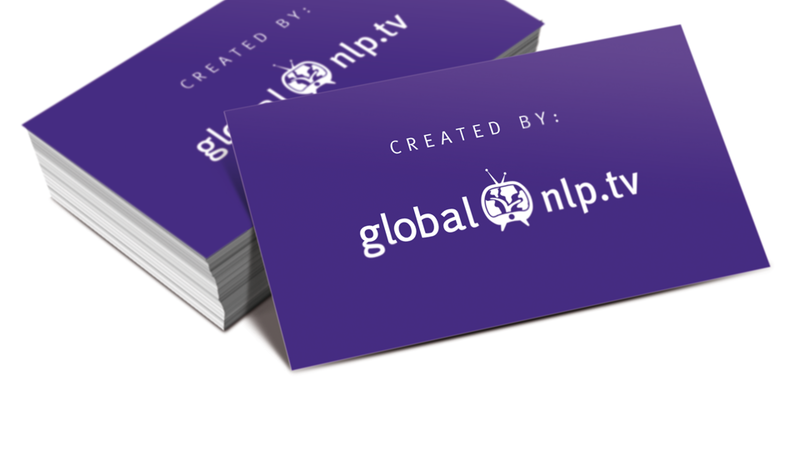 A full NLP Practitioner video course. 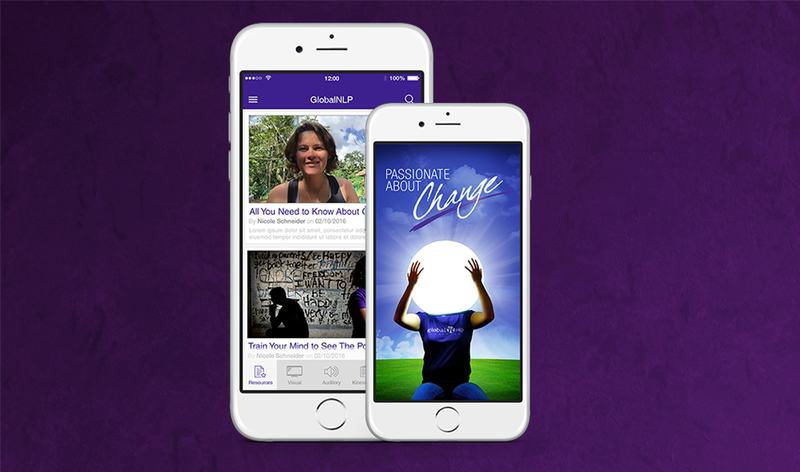 Videos & audios of live demonstrations. 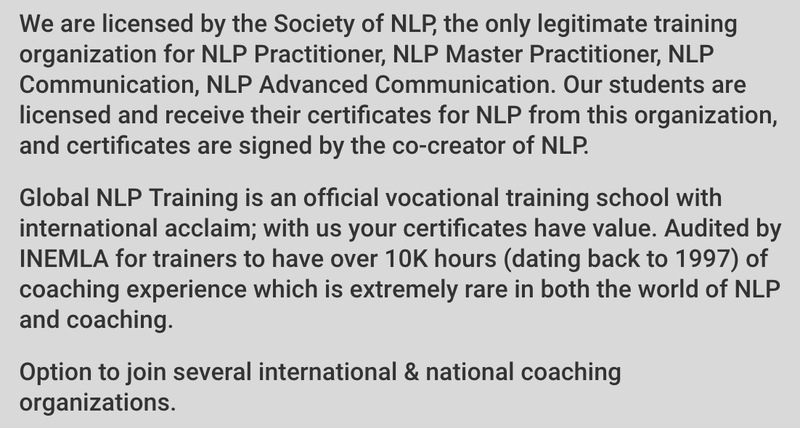 NLP Coaching contracts & forms. 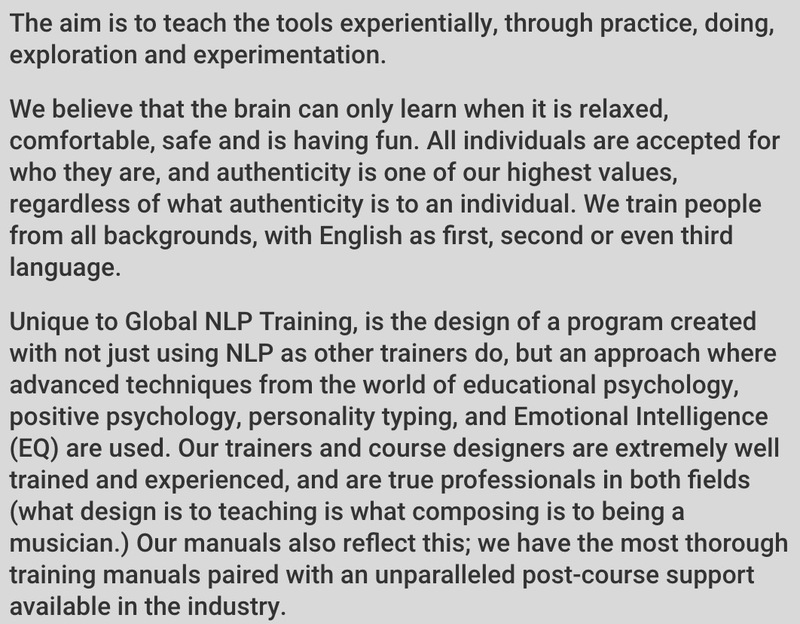 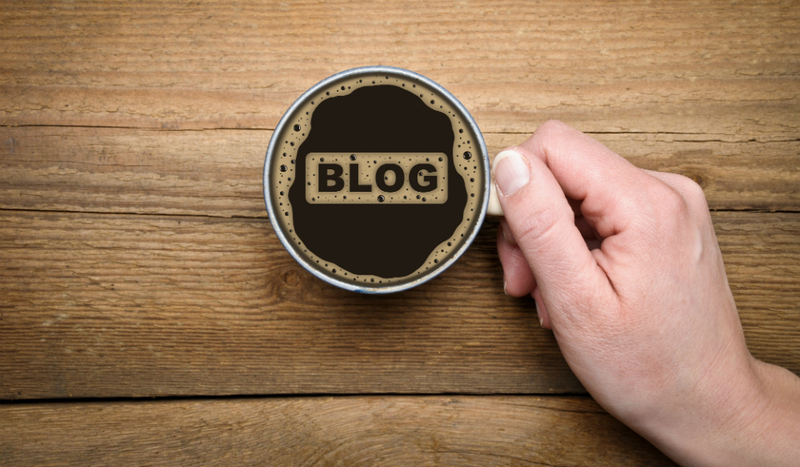 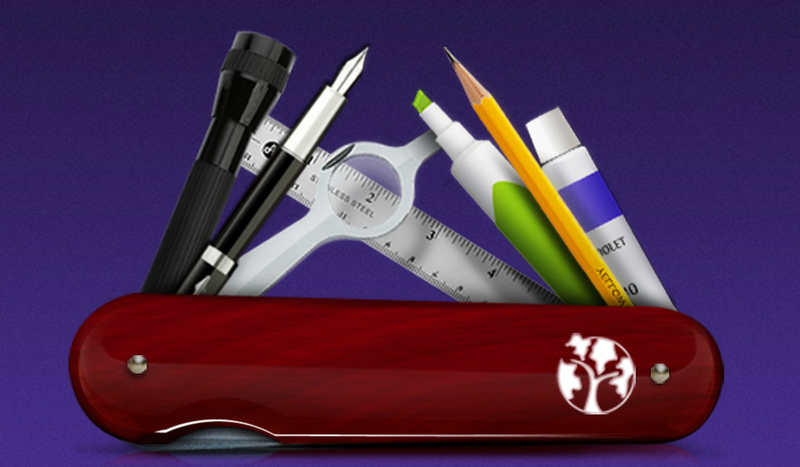 Designs to hold your own NLP workshops. 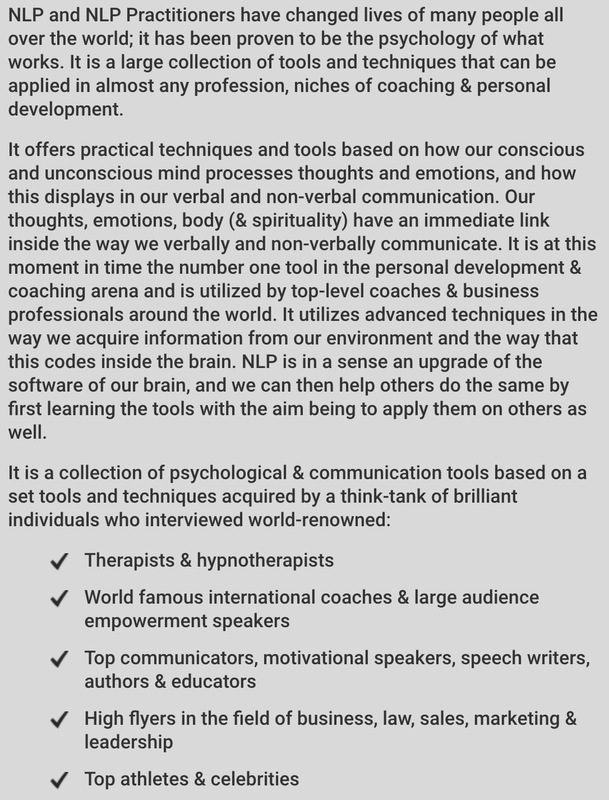 Whatsapp & messenger supervision coaching.